The holidays are right around the corner and I'm getting lots of inquiries about holiday gift ideas for outdoorsy loved ones. Here are a couple of small backpacking, hiking, and camping related gear picks based on things that I own, use, and would highly recommend to anyone. Unlike many of the holiday gear gift lists that you'll see popping up, this one consists of things that every hiker or backpacker should own. Buy them something they'll actually use. Lets be honest, nearly all of us carry some form of electronic device when we’re out hiking. Whether it’s for emergency use or personal entertainment there’s nothing more useless than a device with a dead battery. 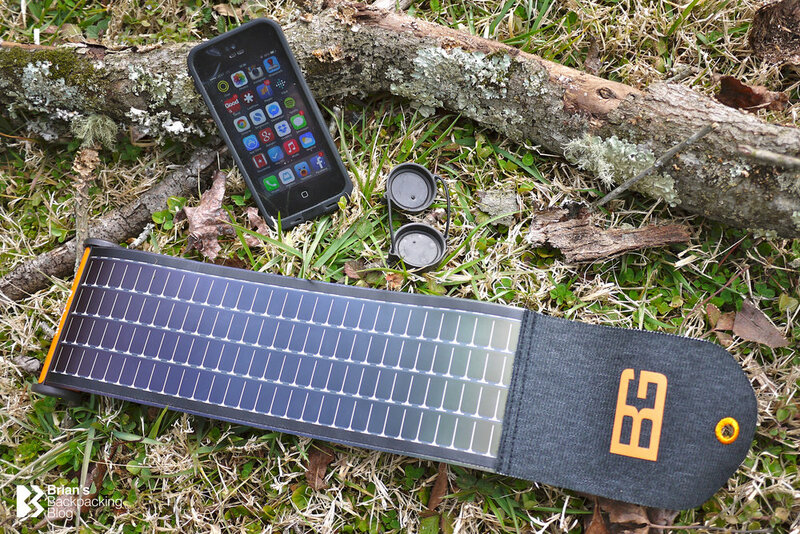 Carrying a solar charger will let you stay juiced up for the duration of your hike. There are plenty of great options out there but Goal Zero has maintained a lead in this area, pushed the technology envelope, and proven their reliability over the years. Even if you’re not out on the trails, a good solar charger can be used for business travel or in the car. Bushnell has another very cool solar charger called the SolarWrap mini ($60). It uses a flexible solar panel that can be rolled up and stowed away. Check out my review of the Bushnell SolarWrap mini. Unless you’re John Rambo or a super ultralight (SUL) hiker who is counting every gram, you’ll want a knife that is functional and easy to carry. In my honest opinion there is no other knife on the market that can beat a Swedish Mora for both functionally and price. 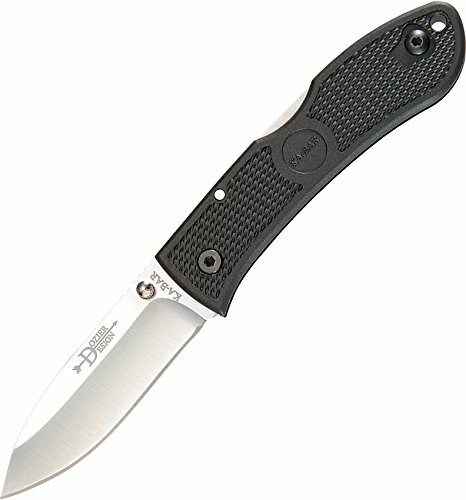 At only $30 this is a knife that will last a lifetime and get the job done. 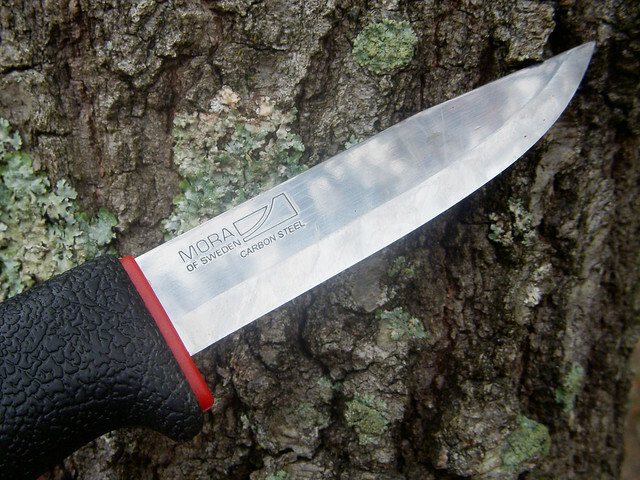 If you’re picking a standard Mora go with a carbon steel blade for wickedly sharp edge retention. Also look at the Light My Fire Swedish Fire Knife (made by Mora) that combines a razor sharp Sandvik 12C27 stainless-steel blade with a Swedish FireSteel in the handle. 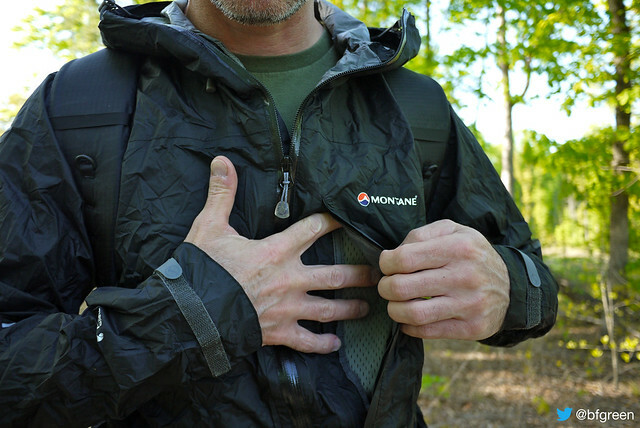 I reviewed the Montane Minimus Jacket not too long ago and quickly fell in love with it - in fact I gave one away if I recall. I’ve carried the Minimus jacket on every trip (work and pleasure) ever since and would recommend it in a heartbeat. It packs up small and can be thrown into any pack to have available when needed. Another old favorite of mine is the Marmot Micro G rain jacket. Waterproof, windproof and highly breathable it will keep you dry without making you sweat. Once you’re done trying to make ziploc baggies and old grocery bags work as ultralight pillows you may come to the realization that it’s actually worth the few extra grams that a good inflatable pillow adds in order to have a little more comfort and quality sleep on the trail. An quality ultralight inflatable pillow weighs an ounce or two at most and costs $30-$50. Ensure many future nights of restful sleep and pamper your noggin with a pillow that will stay inflated throughout the night! I’ve always been impressed with the Petzl Tikka range of headlamps. I’ve had several of them over the years, replaced due to loss and not failure. My current model is the Petzl Tactikka Plus RGB headlamp (all black) that features multiple power output levels and the option of white, red, green, blue LEDs that let you remain discreet and helps to preserve your night vision. If you're looking for a small every day carry (EDC) LED flashlight, check out the Fenix brand. 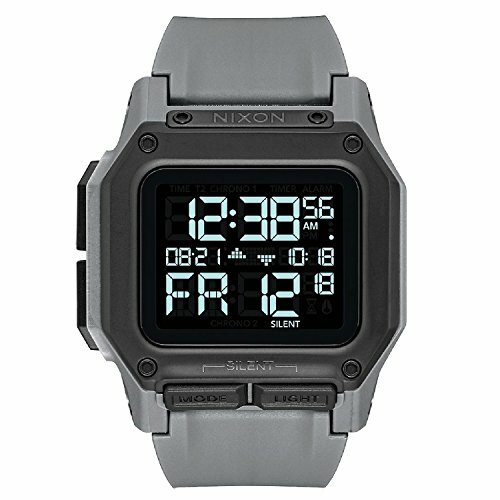 I've carried a Fenix LD12 for over a year and love it. Reliable, small, powerful, rugged, and best of all it takes a single AA battery that I can find anywhere. If you’re a regular reader of this blog you’ll know that I have a bit of an obsession for minimal wallets. I’ve provided hours and hours of discreet product feedback to manufacturers in an effort to influence the market. I’m one step short of going all out and looking at the options of producing my own wallet - but that’s another story for another time. I’ve been carrying an ultralight Butterfly Wallet for over two years now and I’m extremely pleased with it. It’s exactly what I need with no frills or waste. 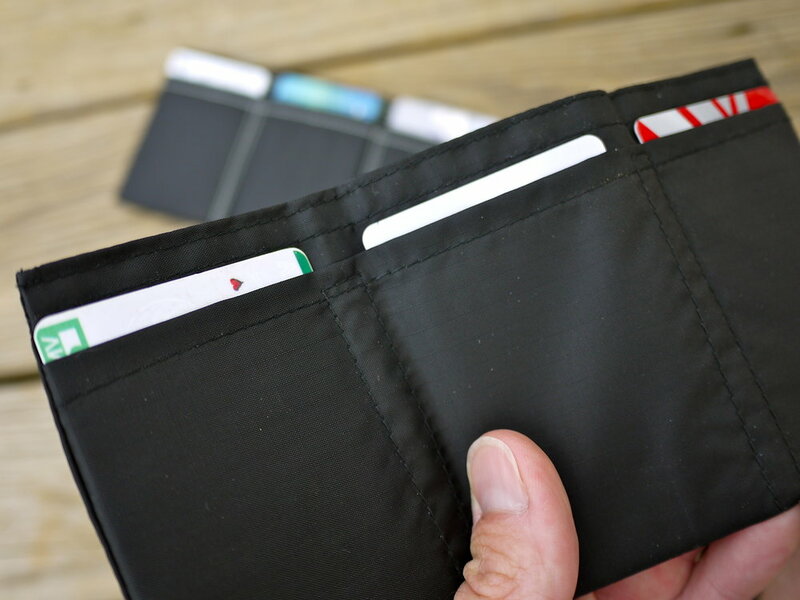 There are hundreds of minimal wallets out there (just look at Kickstarter), but so far none of them have pulled me away from my Butterfly Wallet. By a couple to use as stocking stuffers. I've tried just about every type of stove there is. 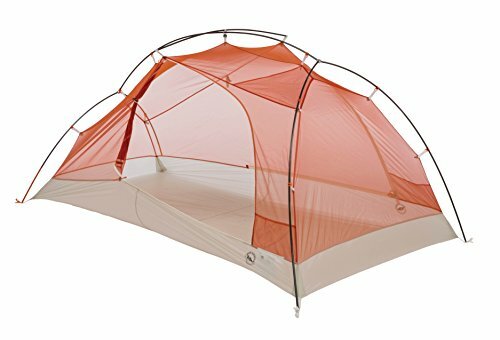 Heck, I've even designed and created my own in order to go ultralight. 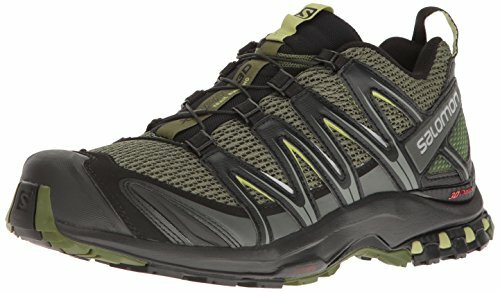 Now I'm at a stage in my hiking career where it's less about going ultralight for the sake of it, and more about lightweight with efficiency and ease of use. That doesn't necessarily mean that ultralight equals hard to use or inefficient - not all the time - but in a lot of cases, especially when it comes to stoves, ultralight can equate to finicky or fussy. When I want a no-fuss cooking experience I carry my Jetboil SolTi stove with me. It’s extremely easy to use and will boil up a few cups of icy cold water in less time than it takes to open up your bag of freeze dried trail food. And yes, it can be used to simmer, I do it all the time. It’s time to throw away that bulky pump and grab yourself a filter that weighs next to nothing, can remove more pathogens, and has about the same throughput as that pump. I’m not going to dance around here - buy a Sawyer mini water filter and check this one off your list. If you prefer chemicals then I recommend Aquamira two-stage purification drops combined with a set of smaller bottles to carry only what you need and have a pre-mix ready in your pocket. Your feet are your wheels. Eventually you’ll realize that your feet matter more than almost anything else, so take care of them. As Ben Franklin said “An ounce of prevention is worth a pound of cure.” Invest in some quality wool or synthetic hiking socks (I rotate between two pairs when hiking). No more cotton! 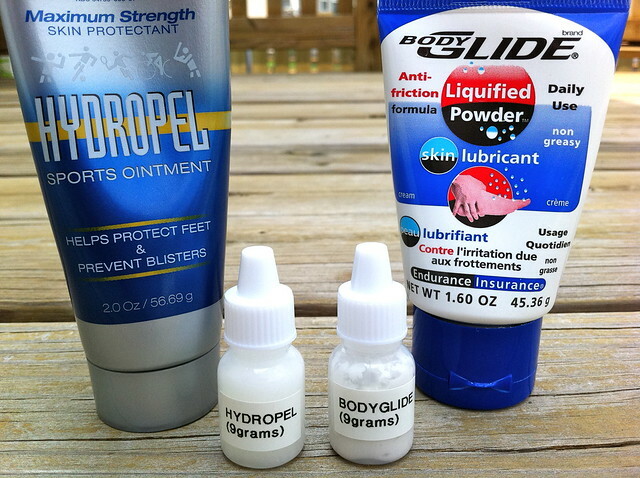 Kickstart a good foot care routine with some silicone based skin lubricants like HikerGoo, Hydropel, and BodyGlide. Carry some Leukotape to cover those hotspots before they turn into blisters. If you want to get serious about foot care, buy the book: Fixing Your Feet by John Vonhof - now in its 4th edition. How about a virtually indestructible backpack (ruck) to carry all that cool new gear in? Check out the GORUCK line of rucks, built to withstand anything you can throw at them and backed by a lifetime guarantee and repair service. Feeling adventurous, tired of all those Mud runs? Sign up for a GORUCK Challenge lead by special forces cadre for a small taste of good lovin. Earn the highly exclusive (and never for sale) GORUCK Tough Patch and become part of the GORUCK Tough (GRT) family. Just be careful, once you start it’s hard to stop! 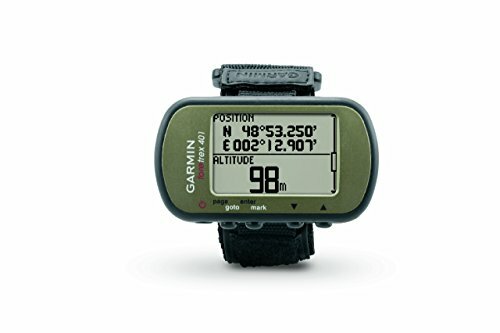 Photo Credit: Suunto MC-2G Global compass image via TrekTech Blog. Sign up with your email address to receive the latest blog post updates directly to your inbox. Thank you for subscribing to my Blog via email. My favorite pieces of gear. I only recommend items that I personally use.